Use with steaks and burgers, pork and lamb, roasted vegetables or as an accompaniment on a cheese plate. A great relish with roast chicken in a sandwich. Pre heat oven to 180ºC. Toss beetroot, onion and rosemary in oil, then place on a lined baking tray. Bake for 50 minutes, or until beetroot is tender. Remove from oven and cool slightly. Discard rosemary. Roughly chop beetroot and onions and place in a saucepan with brown sugar, vinegar, water and spices. Cook for 15 minutes until sugar is well dissolved. Add strawberries and allow to cook for a further 5 minutes, until soft but not broken up. Use warm. 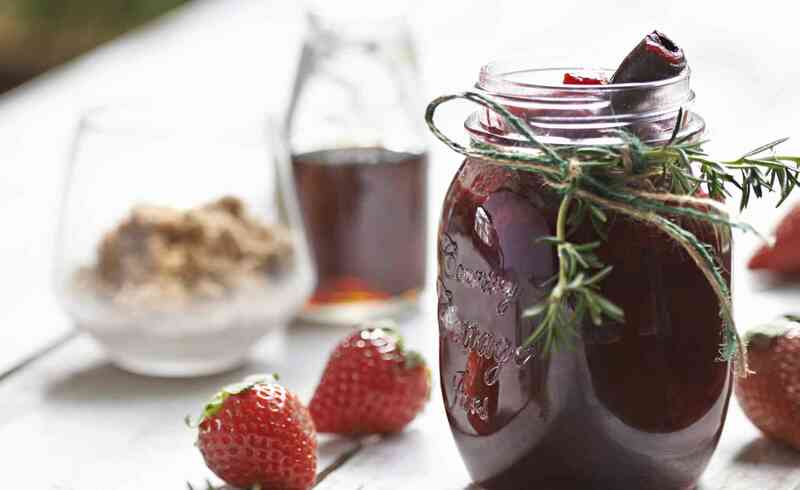 Pour jam into a sterilised jar, and allow to cool then seal. Refrigerate for up to 4 weeks.